As summer winds down, kids everywhere start to dread the thought of losing their seasonal freedom. Staying up late, vacationing, and beach days will soon be replaced with the mundane life of going to school every day. Parents, on the other hand, are ecstatic to send their kids off and return to a normal routine. 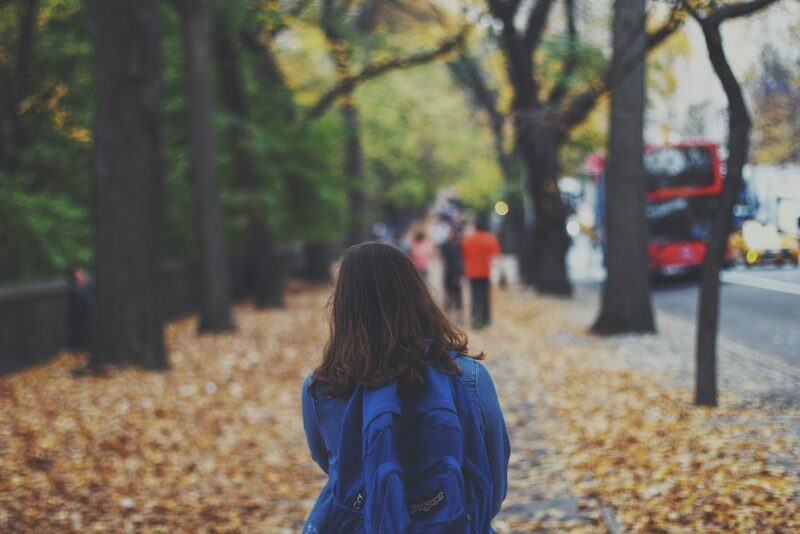 However, if you are recently divorced or have a new child custody agreement in place, the thought of your children going back to school may add dread if your current agreement doesn’t cover the school schedule. You may have a child that is just starting school or you’re realizing that there is no way that the current schedule can logistically work when your child is in school. It is important to cover all aspects of child custody when it is first put in place, so it will cover the summer, school, and holiday schedule. Will This Lessen the Time I Get to Spend with My Child? Child custody is a sensitive subject. Emotions run high and both parents want to keep the child to themselves, but you must put the selfish feelings to the side and think about the well-being of the child. If the current schedule will make it hard on the child once school starts, then adjustments will need to be made and it could mean that he or she will be spending more time with the primary parent. In most cases, the child will go to school in the school district of the parent with primary custody. This means that if you are a custodial parent and normally take the child on certain nights during the week, it may have to change if it will be difficult or inconvenient for you or the child. However, if the school in the custodial parent’s district is better and will be more beneficial to the child’s education, then a petition can be filed to have the child attend that school. If you share joint custody the child can attend either school, but it is better to keep the child in the school that he or she is already attending. Divorce is hard enough on children and keeping as much normalcy as possible in their lives is important. How Do I Prepare for the Change? When making a parenting plan for the school year, both parents must be honest about their own schedules and what can be done realistically. If you normally get off work late or your schedule is unpredictable, it may be best for the other parent to have the child during the school week. The goal with any parenting plan is to give the child as much stability as possible. August is usually the month where co-parents start testing out their new schedules and fixing anything that doesn’t work out. Even if decisions about what school the child will attend, where they will live, and who will pick them up were already made, when it’s executed there still may be some kinks to work out. Don’t wait until school starts to begin making arrangements. If you are having a hard time coming up with a solution on your own, an experienced child custody lawyer can provide you with assistance. What Needs to Be Considered When Making a Custody Schedule? After-school schedules – You have to think about more than who has the child on what day and what school they will attend. After school activities could cut into the parenting time for one of the parents, so you would have to take the child’s extracurricular activities into consideration when dividing up the time. Again, the goal is to keep the child’s life as normal as possible, so it is important that he or she does not have to give up any current activities or hobbies due to their living arrangements changing. Pickups, drop-offs, and daycare – Most schools let out before parents get off work and because of this, parents are often scrambling to find something for their children to do in the meantime. Daycares have set pickup times and charge late fees for anyone who comes after that time. To avoid any chaos, it is best to determine who will be able to pick up and drop off the kids from school every day. Any activities the child does will be factored into this as well. Your child’s age and preference – If you’re dealing with older kids, it is best to get their opinion on where they would like to go. If your children feel like they have a say-so over what happens to them, it could make the transition easier versus being told where to go. Child custody and the changes during the summer and school year can be difficult to maneuver. The Law Offices of Sheryl R. Rentz, P.C., has experience navigating these difficult situations, and can help you figure out your options. If your custody arrangement is changing, call our Montgomery County custody attorney (610) 645-0100 for a free consultation. Whose Weekend Is It, Anyway? Can Giving “Tough Love” Result in Antisocial Behavior? We know your problems are unique & special. Call us, we will listen. We’re Kicking Off the Key to a Bright Future Scholarship 2019! Our team is ready to help. Start off your case with a no-cost consultation by calling our office today at (866) 290-9292 or by completing the following form. Montgomery County Divorce Attorney Disclaimer: The divorce, visitation, child support, child custody, spousal support, or other family law legal information presented at this site should not be construed to be formal legal advice nor the formation of a lawyer or attorney client relationship. Any results set forth here were dependent on the facts of that case and the results will differ from case to case. Please contact an attorney at our law firm office. This web site is not intended to solicit clients for matters outside of the State of Pennsylvania. © 2019 Law Offices of Sheryl R. Rentz. Serving Chester County, Montgomery County, & all counties in Pennsylvania.